With the meeting in Copenhagen to releasing the latest Intergovernmental Panel on Climate Change synthesis report produced by Working Group I in early November, it is timely to consider not only our response to likely changes in climate but also to look at just what sort of climate we are hoping to achieve (Caseldine, 2014). Possible implementation of various climate geoengineering schemes (Hulme, 2014), especially those under the banner of SRM (solar radiation management) which seek to mimic the cooling effects of volcanic eruptions to offset anthropogenic warming, has invigorated debate on the rights and wrongs of interfering with the climate system. The ever increasing concentration of Green House Gases (GHGs) in the atmosphere (Friedlingstein et al., 2014) has though already built climate change into the earth system for the next century so whether we like it or not choosing to reduce GHGs, or deciding to allow concentrations to rise will also impact on global climate. 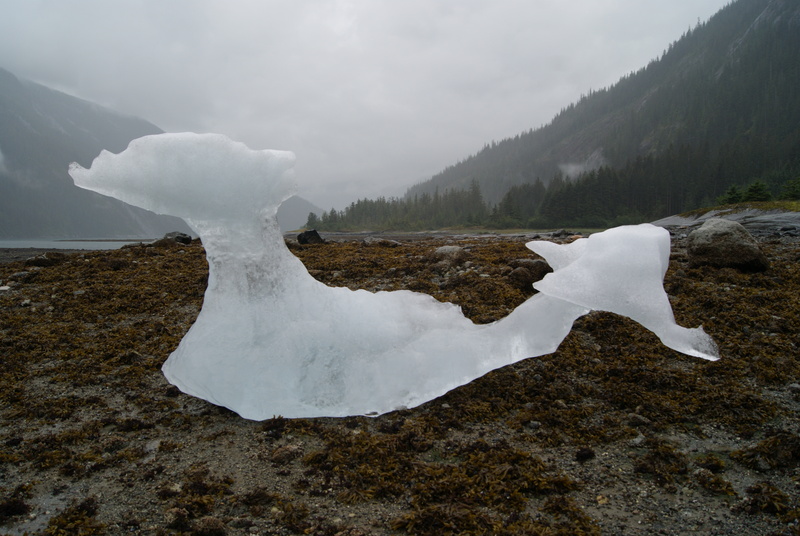 Stranded iceberg calved from Dawes Glacier, Alaska, 2014. Photograph credit Chris Caseldine. Because of our increasing understanding of the climate system we are now in a good position to assess the likely effects not only of various forms of geoengineering but also of reducing or indeed increasing GHG emissions – so what sort of climate do we want and what do we understand by ‘natural’ climate? Palaeoclimate studies using a range of sources have provided evidence of climate characteristics before human interference and climate models can now exclude the human factor and determine likely future climate patterns should nature take its course. If however you look at the sort of climate envisaged for a low carbon world it does not easily translate into the sort of climates, and weather, that will be experienced, it is usually defined in terms of global mean temperature, levels of GHGs or increasingly in terms of climate stabilization, a term that is rarely formally defined – usually considered as the prevention of dangerous change, the possibility of exceeding some critical climate threshold or tipping point leading e.g to the total loss of Arctic summer sea ice and subsequent major reorganization of circulation patterns. However much we manage to reduce GHG emissions or prevent the implementation of geoengineering schemes, climate, especially global climate will not though be more benign, it may not be climate as before, but can only be understood in the context of our knowledge of past climates. There is a real need to understand and explain what a move back to a more ‘natural’ climate will mean, and why if technology is seemingly available to tackle climate problems, to provide what is euphemistically called ‘climate solutions’, we should not adopt such procedures. We need a clear understanding of what we are aiming to achieve climatically, the grounds for following that trajectory and what it means for global populations. About the author: Chris Caseldine is Professor of Quaternary Environmental Change in Geography, College of Life and Environmental Sciences at the Penryn Campus of the University of Exeter. He is a palaeoecologist and has carried out research into palaeonvironmental reconstruction, principally over the Holocene, in a range of environments including Iceland, Ireland, SW England and Southern Norway. Hulme, M. 2014. Can science fix climate change? 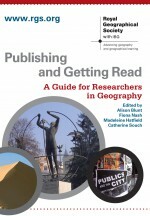 Polity Press, 158pp. This entry was posted in The Geographical Journal and tagged Climate change, climate stability, Geoengineering, GHGs, Holocene, natural climate on November 28, 2014 by RGS-IBG Managing Editor: Academic Publications.